Naughty Dog confirms its PS4 Uncharted engine is just "up and running" on PS4, teases at The Last of Us PS4 port. During the PlayStation 4's launch event in New York, Naughty Dog went on stage to announce that a new Uncharted game is in development for Sony's new console. Unfortunately, it looks like we're quite far off from actually playing it. Replying to a commenter on the PlayStation Blog, Naughty Dog's own Community Strategist, Eric Monacelli, revealed that the studio has its Naughty Dog PS4 Engine "up and running." We're just getting our Naughty Dog engine up and running on PS4 as we work on the next Uncharted project. In the same comment, Monacelli gave a "We will see what the future brings! :)" in regards to a PS4 port of The Last of Us and its DLC. Keep in mind that this isn't confirmation, but for those yearning for a port, this is the best you can hope for -- at least for now. With Naughty Dog's confirmation that the engine is just up and running, does this mean Uncharted's debut on the PS4 won't see the light of day in 2014? Then again, the reveal was a short one-minute clip that didn't give us anything, so they have the entire year to slowly trickle of info about the newest entry in the series. 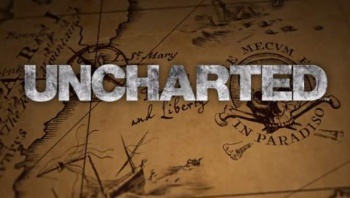 Are you expecting the new Uncharted game next year or sometime in 2015?